As Ontario’s auto insurance industry was waiting anxiously, the Court of Appeal for Ontario released an interesting decision on priority dispute notices to claimants. In Dominion v. Unifund, an accident benefits claimant was not notified of the priority dispute between the insurers until after arbitration proceedings had been commenced. The issue was whether the late notice to the claimant precluded the appellant from contesting its liability to pay SABS and from proceeding with the arbitration. 3. (1) No insurer may dispute its obligation to pay benefits under section 268 of the Act unless it gives written notice within 90 days of receipt of a completed application for benefits to every insurer who it claims is required to pay under that section. 4. (1) An insurer that gives notice under section 3 shall also give notice to the insured person using a form approved by the Superintendent. Most of the “late notice” priority dispute cases over the years have focused on section 3 and, more specifically, whether the insurer gave written notice within the 90-day period and, if not, whether it could avail itself of the two saving provisions contained in section 3 (2). Many insurers have been snake bitten over the years for failing to provide proper notice within 90 days. Although section 3 (2) provides two “saving provisions” that allow an insurer to overcome the late notice requirements, the tests for doing so are very difficult to meet. Of course, the consequence for failing to give proper notice in time is losing the right to dispute priority. Conversely, there had been very little, if any cases, dealing with section 4 and whether an insurer that failed to give proper notice to the claimant would be able to pursue a priority dispute. The claimant applied to Dominion for accident benefits. Dominion then gave Unifund a priority dispute notice, pursuant to section 3 of the Regulation. There was no issue that Unifund received the notice within the 90-day period. However, some two and a half years later, Dominion sent the claimant the notice under section 4. The claimant did not object to the priority dispute and was not involved in the proceedings at all. 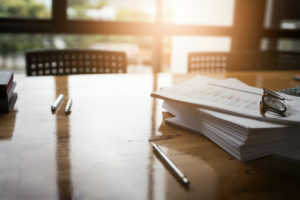 At arbitration, Unifund raised a preliminary issue, arguing that Dominion’s notice to Unifund was late because it had failed to give the claimant the notice within 90 days after it received the claimant’s application. In other words, Unifund argued that a notice under section 4 had the same 90-day time limit as a notice under section 3. The arbitrator rejected Unifund’s argument and held that there was no 90-day notice period under section 4. She refused to “read in” a 90-day time limit for notice to a claimant that was not spelled out explicitly in section 4. Unifund was successful on appeal. The appeal judge held that the arbitrator’s decision was incorrect in law. He interpreted the Regulation as requiring notice to be given to the insured within the same time period that was required for notice to the other insurer under section 3. The Court of Appeal allowed Dominion’s appeal and restored the arbitrator’s decision. Following a recent trend, the Court of Appeal held that the appeal judge erred in law – not in his interpretation of section 4 – but in using the wrong standard of review. The Court held that a priority (or loss transfer) arbitrator is entitled to deference and that her decision was otherwise reasonable. Accordingly, the appeal judge had erred in reversing her decision and engaging in his own interpretation of the Regulation. The arbitrator reasonably characterized the claimant’s rights as procedural. It was reasonable for the arbitrator to conclude that a 90 day time limit was not essential to protect the claimant’s rights to object and participate, which could be protected in other ways. In this case for example, the claimant’s rights were protected by ensuring that he received notice and had the opportunity to object before the arbitration hearing to determine the priorities dispute was underway. The overriding objective of the regulation is to provide a procedure to determine priority disputes. That objective would not be furthered, and may well be undermined, by importing a requirement that has nothing to do with the determination of the dispute or the rights of the parties. Many insurers and lawyers have been holding on to matters with similar issues, waiting for the Court of Appeal’s guidance. Although the Court of Appeal restored the arbitrator’s decision because it was “reasonable”, it does appear that the Court of Appeal preferred her interpretation of section 4 over the appeal judge’s interpretation. Going forward, and despite the Court of Appeal’s decision, insurers should always send the priority dispute notice to the claimant (section 4) at the same time they send it to the other insurer (section 3). This way, there should never be an issue as to whether any priority dispute notices were given in time. See The Dominion of Canada General Insurance Company v. Unifund Assurance Company, 2018 ONCA 303 (CanLII). See for example, The Dominion of Canada General Insurance Company v. State Farm Mutual Automobile Insurance Company, 2018 ONCA 101 (CanLII).